What is Bile Duct Stones ? Bile Duct Stones, also known as choledocholithiasis, are basically gallstones present in the bile duct. 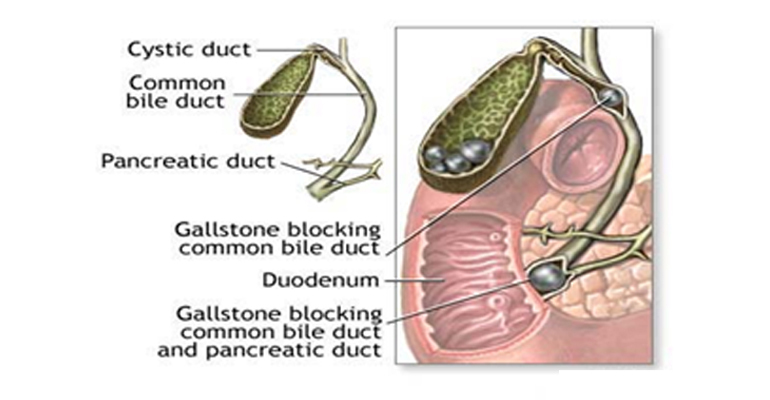 These stones can form in bile duct or at gallbladder, then migrate into the bile duct. What is the treatment options for Bile Duct Stones? (ERCP) Endoscopic retrograde cholangiopancreatography a minimally invasive procedure that combines x-ray and upper endoscopy. Intraductal electrohydraulic lithotripsy-In this procedure, a shock wave are used to breaks up the stone, using a very fine probe inserted through a tiny scope that is passed through the ERCP endoscope.